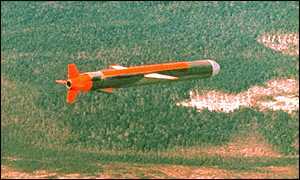 An American-funded training project in Afghanistan has closed down as a result of the US cruise missile attack on the country in August. The programme was funded by the American oil company, Unocal, which was once hoping to be involved in building a gas pipeline across the country from Turkmenistan to Pakistan. However, since the US attack on suspected terrorist training camps in the Afghan mountains, Unocal has withdrawn funding. Located in the southern city of Kandahar, the headquarters of the head of the Taleban, Mullah Mohammad Omar, the project ran for just one year. It taught 400 Afghans up to the age of 30 different technical skills such as carpentry, welding, masonry and plumbing, as well as allowing them to learn English. The campus for the programme is perhaps its best advertisement. What was recently a totally destroyed Russian military base has been re-built to a very high standard by the students over the past year. The head of the programme, Professor Azimi, said its aim was to give young people a chance in life. Many have not been able to go to school because of all the conflict in their country and they have no skills. He said those who have just graduated from their courses can now set up their own businesses and that everybody, including the Taleban, was happy with the whole scheme. Run in conjunction with the American University of Nebraska, there were plans to set up similar projects in other Afghan cities such as Herat and Mazar-e-Sharif. But Professor Azimi said these plans have now also been shelved because of the lack of funds. It is just another tragedy for young Afghans, who have suffered enough from the 20 years of conflict. While Unocal would have had a skilled pool of technicians to draw from if it became involved in building a gas pipeline across the country, Afghanistan itself badly needs skilled technicians for its own reconstruction. And Kandahar is just one example. Everywhere destruction can be seen from the time of the Soviet occupation and the subsequent fighting within the city between various factions before the Taleban took power. Some reconstruction has just started, such as the repair of a few kilometres of main roads, but much more is needed. And so too, is more training. There are about 300 medical students studying at the medical faculty of Kandahar University but training facilities are almost non-existent. Some students study agriculture, but other faculties have yet to re-open. Islam and the West: an unholy war?